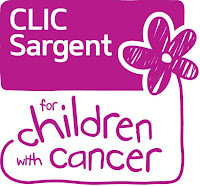 Nickie at I Am Typecast has invited bloggers and readers to support the CLIC Sargent charity. 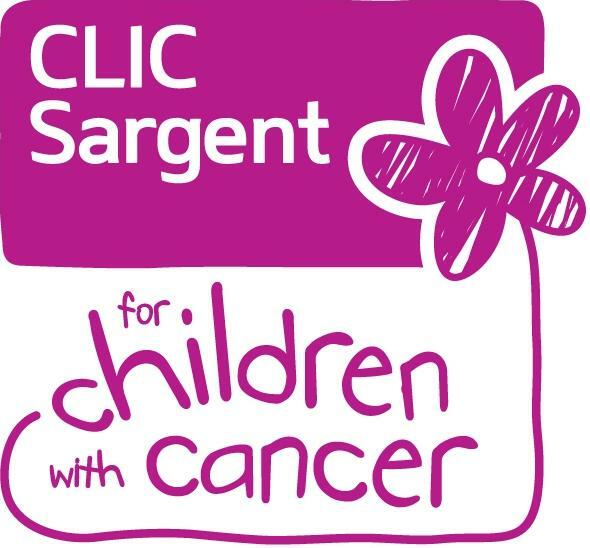 Nickie is promoting CLIC Sargeant and Yummy Mummy Week which takes place from the 10th to 18th March 2012. Nickie posts about why this is important to her and how you can get involved here. Nickie is using writing prompts to get people together and sharing blog posts to raise awareness. The prompt for week 1 is 'What your children mean to you', and I've opted for the personal angle. I am never sure how many people do, but I know growing up I didn't think I wanted children. There were a lot of things I didn't understand - the word 'forever' for example'- and I never really thought about having children as there didn't seem to be a 'place' for them in my life. In my early twenties my first relationship broke down because of this. I couldn't see children in my immediate future. I am not sure what changed, probably everything; different man, different life. I met someone, and when we got around to talking about children we could both see them in our lives. I don't really remember the exact when, I remember we were in a chinese restaurant, in fact it may even have been the night we got engaged. As I've previously posted taking this decision to reality took a little longer than ten months. Nothing, not even the wait, prepared me for how much a child could change my life. And the reality is there wasn't that much of a lifestyle change. I went back to working full time at six months, my parents came to visit every other month so we could get some time to ourselves, and I went home on the alternate months so I could have some time with friends. It is the emotional stuff no one can prepare you for. Nothing can bring tears to my eyes faster than remembering the helplessness, the sense of failure. Me, Seren and breastfeeding did not get on- and I drove myself to despair over it. When, eventually, the decision was made to bottle feed Seren was a much happier baby. My sense of failing her has never really been resolved. With the boys it was when they had to separated at 3 days because Seb needed to be treated for jaundice. And the boys were, maybe only in my head, so much more difficult to settle, and no matter how smoothly everything was going, I felt I couldn't help or be there for these little people who I had brought into the world and now were being caused unhappiness. And then when Tom, at ten weeks, had to go nil-by-mouth for five days, and having to soothe him through it, and truth be told, probably being more distressed by it than he was. ... And every time they get a cold, a fever, or a bug... and I can't help them, I can't fix it. 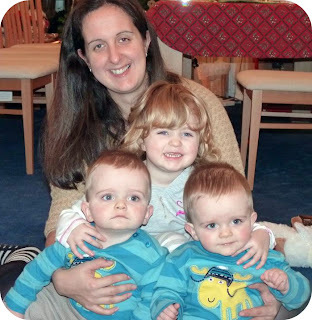 With the physical, tangible stuff, it was when we found out we were having twins that everything changed, when we knew our lives would need to change, and that bringing up the children would take precedence over our preferences. We could not continue living in Yorkshire whilst our support network were in Wales, We would need a house that was suitable for young people. We would need a car which could accommodate a toddler seat, two baby seats, a dog... and us. And, probably because we sold the house so easily and I would say this, that's the easy stuff, the material items, the things that can be traded in and compromised. It is having a child, for me, that makes you a bigger person (and whilst I don't mean literally- it has also done this), because you can't trade your feelings, one for another, you create and have feelings for this tiny little person, who is intrinsically a part of you, and when you have more, there is no trade, you have more feelings than most days you feel you can breathe. And days like today, when they are all taken out with a sickness bug, I am so much more than physically and mentally exhausted. I have spent the day running around after them, keeping them entertained and soothed, and yet despite every endeavour they have cried and been unhappy- and I haven't been able to make them better. The helplessness you speak of reminds me of when my wee one had terrible colic for the first few months. It's horrible when you feel like you are failing but there is nothing you can do about it! It's so bizarre that something so little can evoke so may feelings in you. And in no time at all, it's such a tiny memory. Interesting post and in a great cause. Made me think that I had not taken on board at all about how all the different feelings could be tiring in themselves. Hope tomorrow is a better one for you but what a lovely family you have. It is odd, I got used to physical and mental exhaustion, but children are something so much more. The good days definitely outweigh the difficult ones, but they all make it an amazing journey! Definitely. Nothing one else could tempt me to sing nursery rhymes in public! Fab post - made me think lots about the way I feel about being a mother - especially that "forever" feeling, and two eldest are adults now but they are still my babies at the end of the day. It's such a good cause, with such an excellent way of raising awareness by Nickie.